Leonardo Gonnelli’s new EP ‘Arpia’ is set to drop on Audiojack’s Gruuv imprint this month with a remix from James Dexter. Heavily influenced by the acid house and Detroit techno sound, Italian producer Leonardo’s career began more than a decade ago in Florence and he has since gone on to release on labels like Get Physical, Play It Say It and Knee Deep In Sound among others. With appearances at Pacha, Space Miami, Dockyard Festival and Sonar Off Week, Gonelli is no stranger when it comes to performing and through his productions has picked up support from artists like Seth Troxler, Loco Dice and Richie Hawtin to name a few. Next up, ‘Just for Kicks’ sees Gonnelli utilise a rumbling low end, a thunderous kick drum and cosmic pad swells prior to James Dexter’s reworking of ‘Just for Kicks’, which brings a hooky, robotic vocal loop and crisp, clean drum samples to conclude the package. 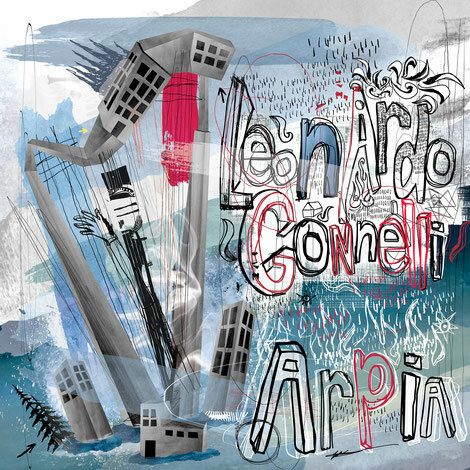 Leonardo Gonnelli ‘Arpia’ drops on Gruuv on 10 August 2018.